Most of the data communication happens over a wired network. RF spectrum being such a precious resource, mobile operators try their best to offload their traffic to a wired network as soon as possible. 5G use cases such as gigabytes of data throughput, augmented reality, massive machine type communication, and connected cars etc. will have significant impact on the capacity of the wired network supporting the wireless infrastructure, not to mention a significant cost. 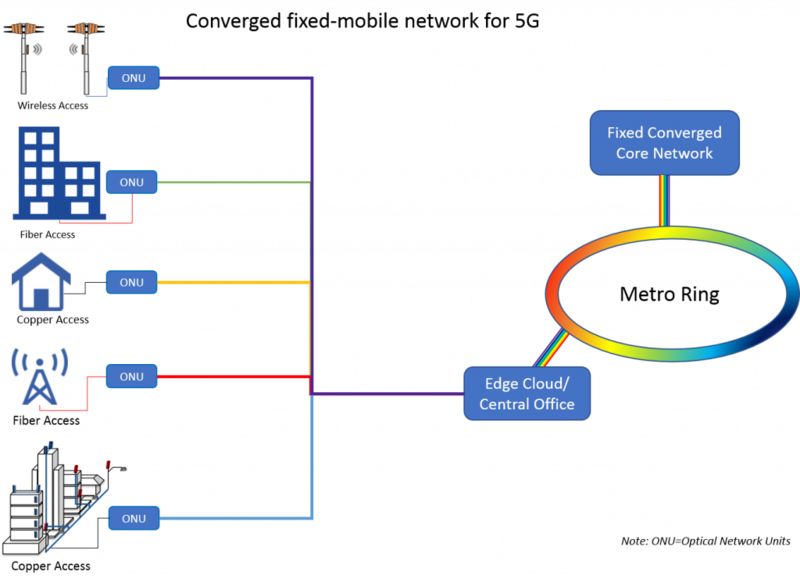 The fixed parts of the overall wireless network are still classified as core, metro and access. Core and metro are normally interconnected through optical transport. However, the access domain uses a heterogenous set of transport technologies including fiber, DSL, G.fast, coax, micro wave, and mm-wave. Basically, any cost-effective technology or a combination of it that can deliver data at a minimum required QoS. As we move forward in the 5G evolution, fiber deployment will grow exponentially, and to ensure networks are delivering the promise of 5G, it is essential that service providers act to validate all the components of the network every step of the way. Seeing a green light on the baseband unit or remote radio does not guarantee system performance; signal levels could be marginal or on threshold and may not survive environmental effects. Having dust caps on fiber connectors does not guarantee a connection is clean; small particles can still migrate onto the surface and contamination can occur during build or staging. A shortage of fiber experts and the skill gap with installers is another challenge the cellular industry is facing. During the installation and commissioning phase of the wireless network, the following tests should be performed at minimum: fiber inspection and connectivity test, power/optical return loss, xWDM validation, fronthaul and backhaul validation, and coax sweep test. VIAVI Solutions offers this free fiber inspection resource page. Failure to perform these tests can significantly degrade network performance, negatively impact CapEx and Opex, and cause customer churn. VIAVI has been working with service providers to help them through the complex journey to 5G. Visit our 5G page to learn more. Next PostWhat’s the Best Strategy for Deploying Gigabit Broadband to the Home?